Author Cal Orey shares her thoughts on tea beyond the cup in the following Q&A. 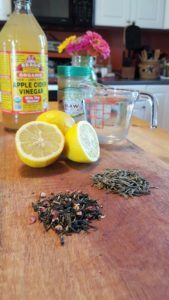 She gave us a couple home tea remedies and an exclusive sneak peek from her upcoming book, The Healing Powers of Tea, featuring a white and green tea facial. Talk a little bit about your love of tea. When were you/who introduced you to tea? The history of tea and me go way, way back to when I was a kid. Actually, a tea party was one of the first times I discovered the world of tea. My mother, a wonderful cook and baker, helped me set the table. And my imagination paved the rest of the way. It’s clear you are inspired by the healing properties of natural remedies. 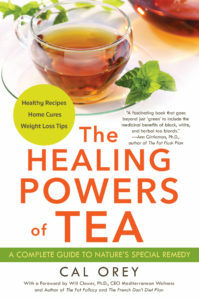 What inspired you to write a book about the healing powers of tea? I’ve been writing the Healing Powers series for almost two decades. However, it was the book on tea that I really wanted to write–and finally I landed the project. 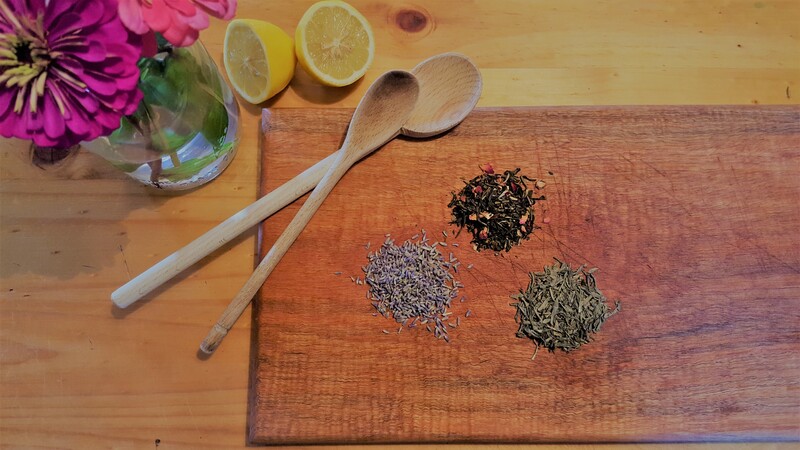 Because tea has played a big role in my life it was the inspiration to weave personal stories as well as its health benefits for the mind, body, and spirit. Has tea healed you in some way? If so, how? Tea has healed me countless times in countless ways. Most importantly, it is my choice of beverage, one with an infinite amount of healing perks. I believe because I have turned to tea (instead of alcohol, soda, or energy drinks) for decades, it has kept me healthy and happy inside and outside, which is a blessing for a health-conscious baby boomer who loves to feel and look younger. What kinds of tea remedies are included in your book? I discuss how the universal superfood can tackle digestive problems, depression and anxiety, aches and pains, and add years to your life. Also, I dish out home cures that give more energy, less stress, treat the common cold, insomnia, and more! Are there any teas in particular that you focus on in your book? Instead of focusing mainly on green tea, I turn to classic black and white teas. I show how they are heating up the beverage world with antioxidants and nutrients that may help lower the risk of heart disease, cancer, and much more. What are your favorite teas and why? Black tea and chamomile tea are two of my go-to teas, especially when traveling. Classic black energizes me and chamomile calms me. Drinking tea –black, white, and herbal varieties– helps keep me balanced. What are some remedies that you use personally? The first is for your eyes. Puffy eyes can occur for a variety of reasons, whether it is lack of sleep or aging. To help decrease swelling, try black, green, white, or chamomile tea. Put wet tea bags into freezer for about 10 minutes or until chilled and place one bag over each shut eye and several minutes. Repeat as desired. The second remedy can be for your skin or just your feet. If you enjoy relaxing in the tub, steep a couple of herbal tea bags in warm to hot water. Try a vanilla blend for a more relaxing soak or a citrus blend for an energizing soak. What’s one thing you hope readers will take away from your book, The Healing Powers of Tea? It’s an amazing superfood. Some people believe tea is just a beverage that you savor once in a while. For instance, folks drink a glass of iced tea in the summer and a cup of hot tea in the winter. But I share how tea is a versatile functional food to be enjoyed for all seasons and every day in countless ways. Are you working on another book in the Healing Powers series? Can you share a little about it? Currently, I’m writing the seventh book–and this one is very big and very challenging. The topic is super superfoods. Yes, it has been done but my angle is very personal and quite unique with a different angle, much like The Healing Powers of Tea. Steep tea in just-boiled water. In a small bowl, mix together honey, vinegar, and lemon juice. Remove tea from stove and mix together all ingredients. Allow mixture to cool off for a couple minutes before applying small amount to your forehead, cheeks, chin, and neck. Leave on for about 5 -10 minutes. Rinse with cool water and pat dry with a clean towel. Follow with a moisturizer. Use this recipe twice a week for a rosy glow. Cal Orey, M.A., is an accomplished author and journalist specializing in topics such as health, nutrition, science, and pets. 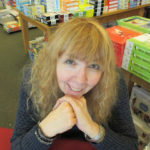 Her books include The Healing Powers of Coffee, The Healing Powers of Honey, The Healing Powers of Chocolate, The Healing Powers of Olive Oil, The Healing Powers of Vinegar, 3rd edition. The Healing Powers of Tea–#6 in the Healing Powers series available December 26, 2017. She lives in northern California.